Expert Mold Test offers property buyers, sellers and owners thorough and systematic mold testing services for residential and commercial properties. We provides expert toxic mold inspections and mold testing for your home and office. Prevent mold infestation and other property issues with our innovative infrared inspections. Cal us if you want to be fully aware of the condition of your property. St. John's Episcopal Parish & Day School hired Dan's company to totally organize a project that included every aspect of mold and air quality issues at one of our oldest facilities. The effort and time he put into this major project resulted in his getting huge raves from parishioners, clergy, administration & school families. Most important, was the extra outside expertise that he called in to address areas that were vital to resolving our issues. They all showed high levels of confidence and competence in each field of the scope of the project. Dan managed the job of coordinating all the trades to effective and efficiently complete the job in a timely manner. We truly appreciate Dan's efforts with the St. John's community, and I believe it will be a long served vendor relationship. We have had occasion to use Dan (Expert Mold Test) several times with our company. He is always on time and very professional. Our company will continue to use him in the future, using all the services he provides. 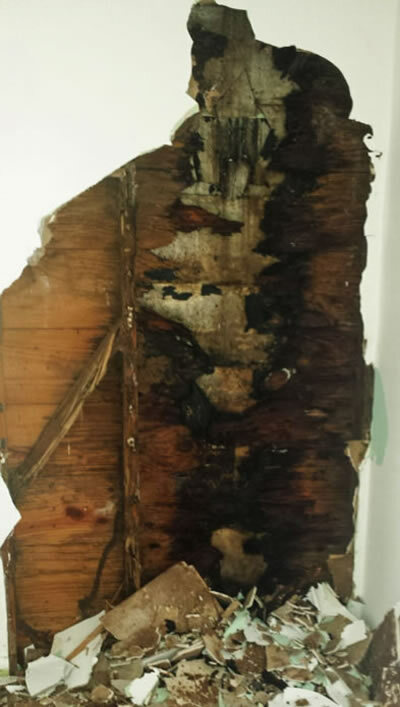 Upon the recommendation of our remediation team, our Condominium Association hired Expert Mold Services to test three condo units that had suffered water damages. Not only was the work done in a timely manner but the results of the mold test were delivered very quickly. Thank you Dan. Dan was very thorough, informative, and responded immediately to my concerns for mold in my home. He scheduled a time to come to my house the same day we spoke about the issue, and after spending a significant amount of time looking at the various areas of concern and checking visually for mold, he took the time to explain the testing process. Dan took only the samples that he needed and did not try to oversell me on his services. Even though Dan left for vacation the following day, as soon as he received the mold report from the samples he took, he forwarded it to me and made himself available to discuss the findings. Dan is very knowledgeable and helped me understand the issues and how best to address/correct them. I would highly recommend Dan to anyone that has any concern for mold. Dan and Expert Mold Test did an awesome job in determining the mold status of the house, and developing a protocol for its removal. Extremely Professional, timely and efficiently completed the work Highly recommended !!! I recently referred my client to Dan Brave to inspect a home that was under contract for purchase. He performed a thorough inspection revealing numerous issues dealing with moisture, structural defects, non-permitted work being performed, and electrical problems etc. His report basically advised my client not to buy the home. My buyer though was emotionally attached to the property and forged ahead with the purchase of the home. Soon after, a worker pulled down some drywall where Dan had identified moisture. The picture below is what was found and the home is currently not habitable.